Nothing makes a chassis engineer wince like the words four-seater convertible, except perhaps luxurious sports car. 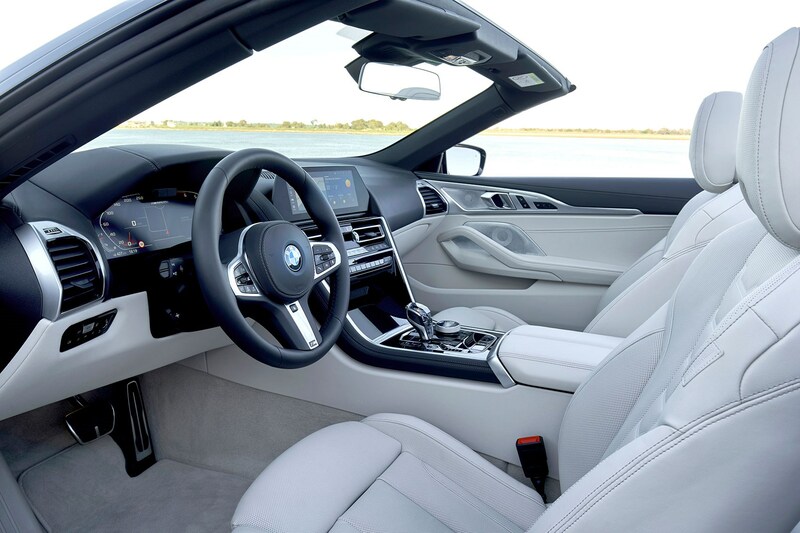 So without further fanfare here is the four-seater BMW 8-series Convertible, which as you’ve probably guessed, is a sporty yet comfortable mechanical stress headache wrought in metal. 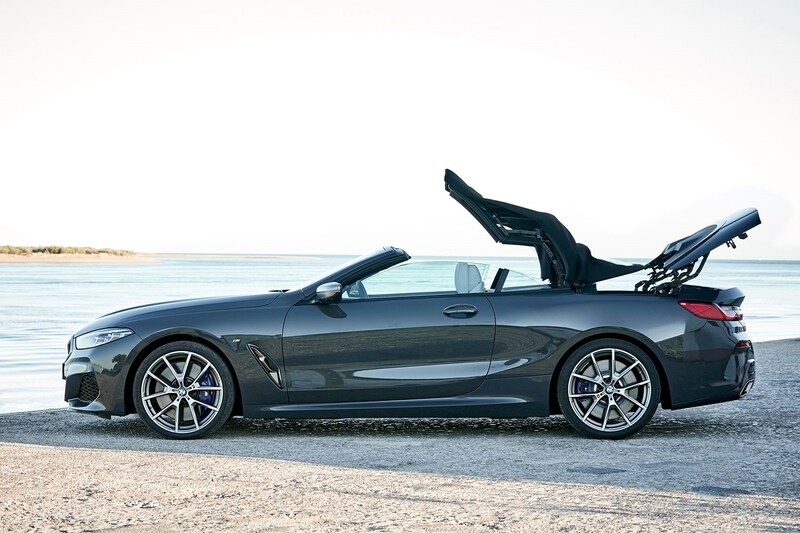 What’s the 8-series Convertible like compared to the Coupe? Well, the power output is unsurprisingly the same so an increase in weight (around a hundred kilos) means you lose two-tenths off the hard-top’s 0-62mph time, at 3.9 seconds. So still enjoyably fast. 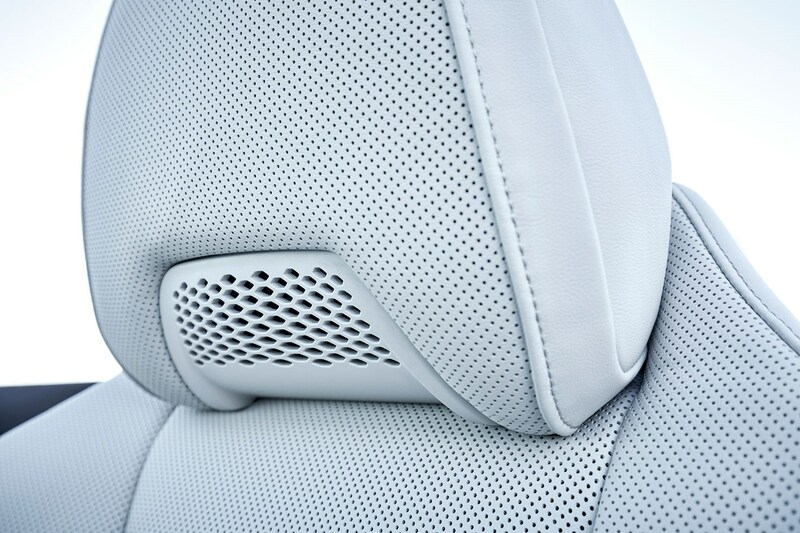 The noise of the 4.4-litre V8, which was potent but a bit distant in the Coupe, can now travel via the path of least resistance to your eardrums and is all the better for it. We’re not talking Old Testament AMG V8 here, but it’s a nice soundtrack allied to a very capable drive. There’s been a bit of shoring up to do in response to losing the torsional rigidity provided by the 8-series' roof, and that means a shift in weight distribution to the rear, but overall the Convertible feels just as agile and stiff as the regular car, even on broken tarmac. Almost uncannily so in fact – we were expecting a body with more flex than a yoga instructor, but clearly that Carbon Core BMW is always banging on about has neutralised that. It's an incredibly stiff platform, for sure. But not as sharp to drive? No, but sharper than you’d expect - and way more engaging than a Mercedes-AMG S-Class Cabriolet, so much so in fact that BMW doesn’t even consider it a rival. The 8-series Convertible is more like an Aston Martin DB11 Volante, they say. And while it arguably misses some of that car’s drama, it is a lovely thing to drive. That big V8 can be revved out but in reality does all its best work in the mid-range, meaning it piles on pace in a romantically effortless way. This engine can be had only with xDrive all-wheel drive, and with a couple of other techy options like rear-wheel steering fitted you do feel slightly removed from the process when it comes to cornering, but only if you really concentrate. Otherwise it’s got a huge spread of talents depending on how far up the drive selector you go – from wafty Comfort to pointy Sport, there’s a mode for every road. Can you actually get four people in a BMW 8-series Convertible? Well in theory there’s more headroom in the back (particularly with the roof down – this takes 15 seconds at speeds up to 31mph) but it feels narrower back there due to all the soft-top roof gubbins impinging on shoulder room. It’s more useful to use the backseats as luggage space anyway because, unlike a Porsche 911 Cabriolet, the folding roof in the 8-series Convertible eats into the available bootspace. However, also unlike a Porsche 911 Cabriolet, you get a 350-litre capacity, which is jolly good, Golf-sized boot space when you think about it. This is accessed via a smaller aperture than the Coupe but there’s a standard-fit 50:50 split rear bench with a load-through facility you can use even with the roof down. In reality, none of you will be trying to transport garden furniture or an ornamental dogwood in an 8-series cabriolet, are you? It’s for skis, mainly, and it nails that brief. Does it come with loads of gadgets? 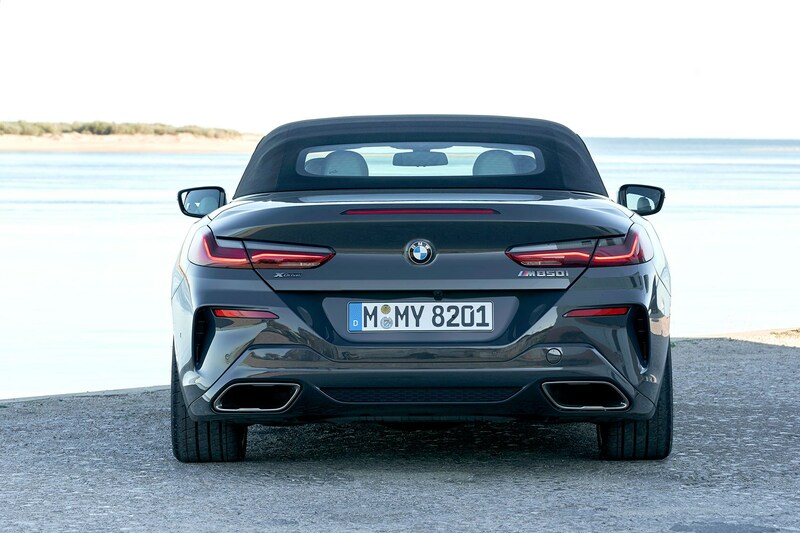 The BMW 8-series Convertible is largely tied to the same spec as the Coupe, so base-spec diesel 840d models get things like adaptive LED headlights, air scarves to warm your neck (see below), electrically adjustable sports seats and leather on the seats. Given how many jobs the BMW 8 Series Convertible is expected to do, it’d be easy to write it off as a jack of all trades with no single stand-out quality. There are so many opposite qualities at play here – and while rivals make do with offering either luxurious comfort or agile handling, the BMW has a hard stab at doing it all, and in this form with the added complication of an open roof too. That’s a complicated balance sheet and the 8-series Convertible does a commendable job of squaring it away, albeit with the assistance of some trick chassis tech situated between you and the driving experience. BMW expects the Coupe to outsell the Convertible two to one. With this little compromise given away, we reckon that’s a conservative estimate.